Griffiss Utility Services Corporation (GUSC) distributes steam heat and electricity to the tenants of Griffiss Business and Technology Park in Rome, New York. 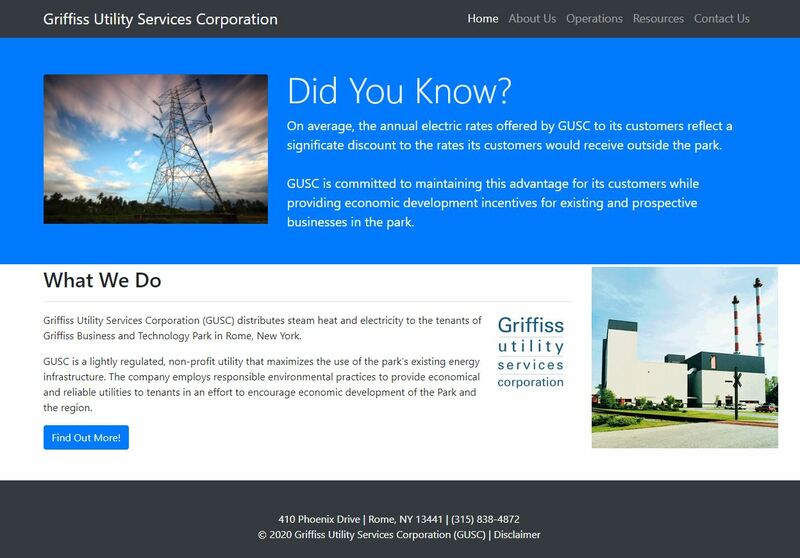 GUSC is a lightly regulated, non-profit utility that maximizes the use of the park’s existing energy infrastructure. The company employs responsible environmental practices to provide economical and reliable utilities to tenants in an effort to encourage economic development of the Park and the region.